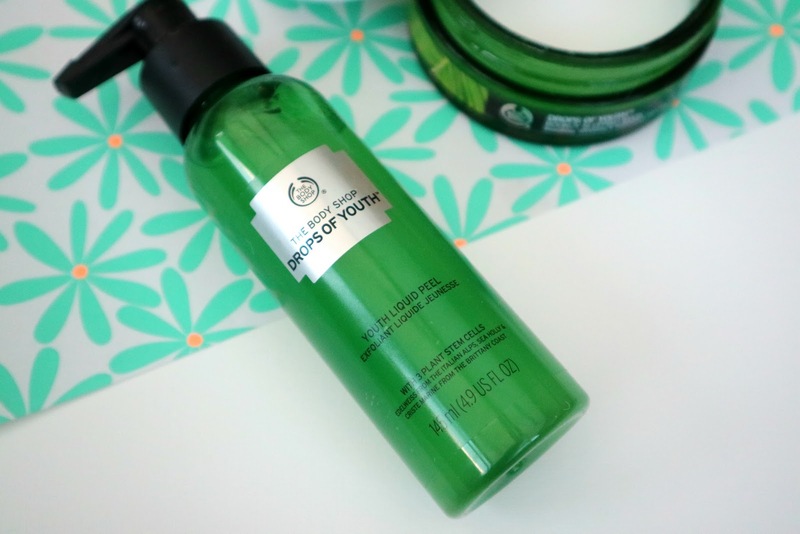 It’s safe to say that The Body Shop is one of my favourite brands when it comes to skin care; Not only do they have an amazing brand ethos but they sell that many products you’ll be sure to find something suitable for your skin type. I currently own 2 of the 8 products available in the ‘Drops Of Youth’ range and I’m loving them. The Youth Liquid Peel exfoliates and gently peels off impurities from your skin, lifting dead skin cells and residuals. After cleansing and drying my face I use two pumps of the Youth Liquid Peel and massage the liquid on my face for around 20 seconds. At this point you literally see clumps begin to form which is the dead skin cells and residuals. I then wipe with a cotton pad and rinse my face with warm water. This all results in a clean, smooth and refreshed face! I lather this onto my face at night and wake up with super soft, dewy feeling skin. The consistency of the mask is weird yet wonderful, the description on The Body Shop website reads ‘memory-shape gel’ but honestly the best way I can describe it is that it’s a putty (aka the least flattering way to describe something). A little goes a long way and you skin instantly feels moisturised. Please let me know if you have any Body Shop favourites!